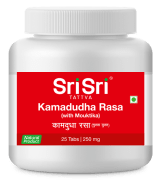 Sri Sri Tattva Kamadudha Rasa 250mg Tablet is a classical ayurvedic medicine that helps in treating a range of pitta imbalance disorders like gastritis, hyperacidity and other gastric related problems. Apart from the above benefits, Kamadudha Rasa also helps in relieving burning sensation, and helps detoxify blood. It is 100% natural and has no side effects. Take or as directed by the physician. 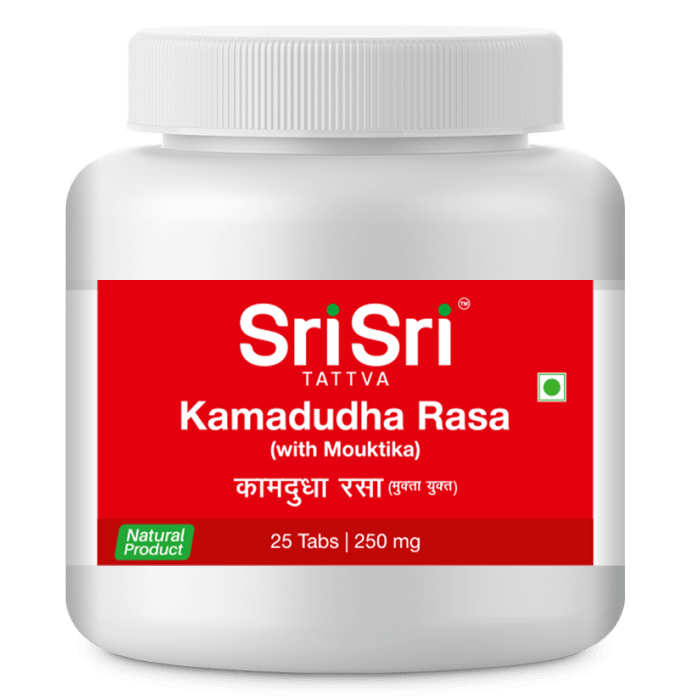 A licensed pharmacy from your nearest location will deliver Sri Sri Tattva Kamadudha Rasa 250mg Tablet. Once the pharmacy accepts your order, the details of the pharmacy will be shared with you. Acceptance of your order is based on the validity of your prescription and the availability of this medicine.